Okay so I wasn’t planning on doing a wish list just because I didn’t want to be all about the consumerism. That however did not stop my interest in purchasing certain products. Reading about other peoples wish lists in r/muacjdiscussion didn’t help either. There were a few items that I had in the back of my head from August or so when I first started hearing about them, but with the release of some holiday products the list has grown larger faster than I expected it to. I thought about going by product but I may just sort it out by brand. I’ve heard great things about Tarte’s blushes and since I love blushes and am ever on the look out for more to add to my collection, seeing the selection that they’ve released as me in a tizzy. They’ve got 3 different blush products out and I want them all. Is it too much and excessive, yes of course it is. It doesn’t stop me from wanting them though. The thing that I love is that this year most if not all of the colours look like they’ll work for me skin tone, which isn’t the usual for Tarte. This has 7 full sized blushes and a highlighter, so the overall value is great. The blushes are also removable, so you don’t have to store it in the big oversized circle, you can transfer it to a magnetic palette and be good to go. 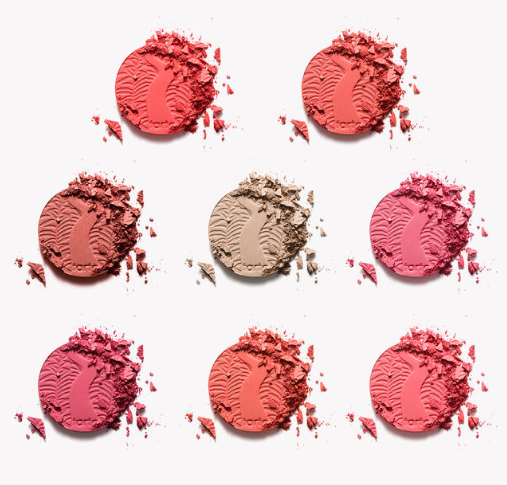 First off the packaging for this is beautiful, it reminds me Moroccan architecture and once again the colours look vibrant and pigmented which is what I look for in a blush. It does me no good if the blush doesn’t show up on my skin tone or looks ashy when it does. So this set contains 10 deluxe sized blushes and highlighters, which look like they would look great on my skin. Reviews so far have been good. The pans aren’t removable as far as I know but still this palette looks so good. I get excited just looking at it. 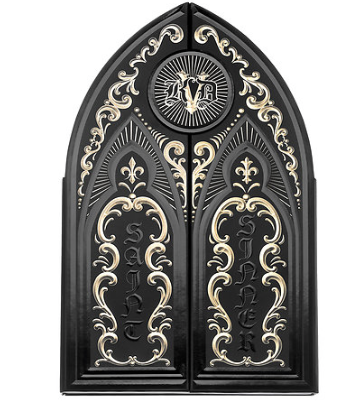 Okay so when I first saw photos of the Saint and Sinner palette I was less than impressed, it didn’t look like anything special to me. The colours looked basic and I wasn’t enthused with the inspiration of the palette. 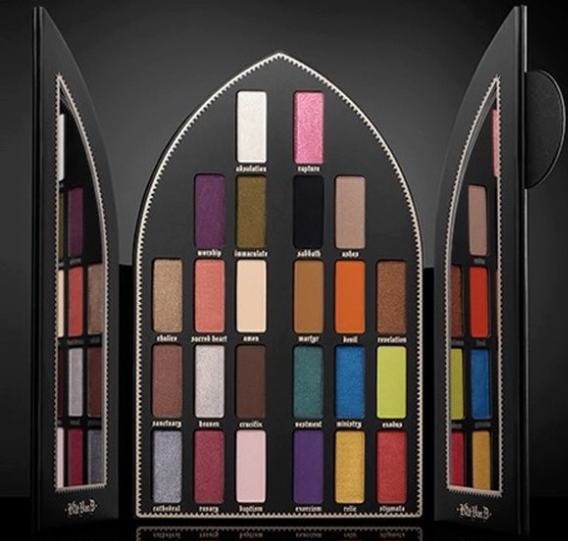 I prefer my makeup without and religious connotations. However after I saw her swatch video I started to reconsider my decision and became very interested. I’m going to wait just a bit to see some unbiased reviews and swatches, I’m hoping Temptalia gets a hold of it and can give her take on the quality and pigmentation. But it’s in my scope. Kat’s holiday palettes are always extravagant in their packaging and this palette is no different. Shaped like a stained glass window that is often found in churches and cathedrals this guy is going to take up space, at least vertically. The palette itself is a good mix of neutrals and colour and with a couple different shadow finishes it makes it really interesting. For the past couple of years Hourglass as come out with a face palette. It’s usually got less product than one full sized ambient face powder, is hella expensive with nice or semi-nice packaging and geared towards those with lighter skin tones. This year I’m hoping that if anything changes it would be that the palette is wearable for deeper skin tones as well. This year the packaging is rose gold and it does look a little more luxe than some from previous years. The palette this year contains, ambient lighting powders, one of their bronzers and a couple blushes. Out of all 6 of the products in the palette I’m pretty sure that the bronzer won’t be deep enough for me, who knows though maybe it will work as a highlight. So far the swatches provided by the company don’t look as promising as I was hoping, a few of the shades did look a bit ashy. Again I’ll be waiting to see what Temptalia and others have to say, if it’s available in store I’ll try and swatch it myself. After all these powders aren’t meant to be piled on just a gentle sweep or two. I know that I always say that I’m not the biggest highlighter fan, but some how I’m still drawn to them. I’ve seen this palette mentioned by a youtuber and she really liked it. However she is very fair so I don’t know how these shades would work on my skin tone. They do look a wee bit ashy in official swatches the brand provided but I hope that application on the skin is much better. So that's it, these are the items that I'm lemming for this holiday 2017 season.